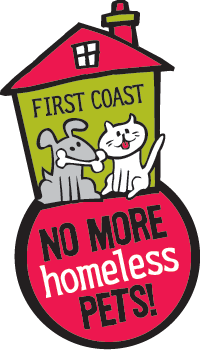 First Coast No More Homeless Pets (FCNMHP) helps people and their pets with high quality, low-cost veterinary care through our sustainable industry-leading programs, services, and solutions. We are not a shelter; we make shelters stronger with a broad range of comprehensive programs like our low-cost or no-cost spay neuter initiatives, the Jacksonville Pet Food Bank, large-scale adoption events, and much more. Your gift makes a difference in the lives of people and pets who need our help! Our donation department can be reached via telephone by calling 904.520.7900. Click below to view our wish list to donate items.